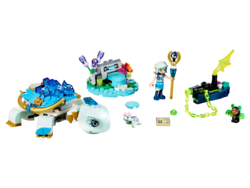 41191 Naida & the Water Turtle Ambush is an Elves set released on January 1, 2018. Help Naida defend the Guardian Water Turtle from the shadow bat! Facts about "41191 Naida & the Water Turtle Ambush"
This page was last edited on 9 February 2019, at 18:09.